Step it up with our custom designed shoe displays! The raw steel finished stands come in 6” or 8” heights. Pair up with two matching stands or mix and match heights for a staggering presentation and extra attention! 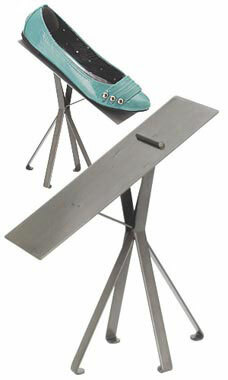 Flats and heels welcome with the supportive metal stay ledge for easy tilting and reliable traction.